We are continuing our Smart Buyer Series and focusing on the various warranties that may be offered to you while buying a manufactured home and also how to properly handle issues after the sell. We’ve previously covered how to avoid issues during a manufactured home purchase. We want to help you get the best deal and have the best experience possible while purchasing a manufactured home! Buying a manufactured home is an exciting time! You’ve done a lot of research and made a lot of hard decisions to get the home you want. Once you picked the home out, secured financing and patiently waited for the delivery of the home, all the hardest stuff should be over, and it is for most people. However, there’s a small percentage of new homeowners that experience issues with their new homes. It’s a frustrating time, to say the least. I watched a close family member go through 2 years of utter frustration after buying a manufactured home a few years ago. The entire ordeal was maddening. The home was special ordered and was going to be used as a base on which to build their ultimate dream home. They had bought property on top of a mountain and would be living there while they saved for the second stage of the build: building an A-frame addition onto the front of the home, adding a wrap-around deck and then wrapping it all in log siding. Buying the manufactured home was a huge step in achieving their dream home. From the very beginning, there were many issues. In one corner of the master bedroom, there was a 1″ gap from ceiling to floor (though it did get closer toward the floor). The 2″ trim around the kitchen counter was broken and chipped but instead of the factory or dealership simply adding a new piece of trim, they glued the many small pieces together and left it. The largest issue began about 6 months after they moved in; a leak formed around the chimney and ruined the ceiling in the den. They paid to ensure the home was level and had professionals document the damage. They did everything they were supposed to do but the manufacturer and the dealer had ultimately failed them. The dealer stated it was the manufacturer’s issue and the manufacturer stated it was the dealers. The additional insurance policy they had paid extra for, based on the glowing review of the salesman, never panned out either. After almost 2 years of trying, the family gave up, which in my opinion, was exactly what both companies wanted them to do. Building any kind of home is not easy and even stick built homeowners have a high percentage of issues after completion. The Holmes on Homes TV Show is an epic example of that. They have thousands of people begging them on a weekly basis to fix their stick built home issues! You absolutely deserve the home that you paid for and it should be of the highest quality but you cannot take the issues that you are experiencing personally. The employees that helped to build your home did not intentionally mess up. Construction is a finicky endeavor and even the most experienced carpenter make mistakes. Add several people trying to work in unison and you’re bound to have issues that lead to errors, both minor and major. Manufactured homes have a very streamlined building process that reduces human error significantly. The factory and machinery are optimized down to the smallest nail and this is a much better environment for building homes. Still, mistakes happen. Of course, some manufacturers just drop the ball completely. Poor hiring, production oversight and/or neglected inspection processes allow homes to leave the factory that should not. This causes a lot of frustration for the homeowners. With that said, I believe we should judge a manufacturer based on how quickly and efficiently the issues are remedied and not on the issues themselves. Nothing can be perfect, especially when humans are involved. There’s good warranties and not so good warranties available when buying a manufactured home. The following is an extensive list of the different types of warranties that may be offered during the home buying process. Make sure to read everything and ask for clarification if you don’t understand something. Also, you’ll want those answers in writing. If possible, look for a manufacturer that offers a long-term warranty with few exclusions. If the warranty is on 450 pages with small type, something is off. Inspect it thoroughly. Manufacturers, retailers, installers, and component manufacturers may offer separate warranties, each of which covers a different part of the home. Consumers can have trouble determining who is responsible if problems after the purchase. In Consumer Unions survey, they noticed that mobile home owners who bought directly from the manufacturer had fewer problems with their homes than the owners that bought from an independent retailer or dealer. When you buy directly from a manufacturer, a single company makes, sells, moves and installs your home. Dealing with a single company is always better than 2 or 3. Licensing laws in some states may prohibit direct to consumer sales by manufacturers though so check to see. Although many states require that mobile-home manufacturers offer warranties good for one year or longer, terms can extend to five years or even longer. However, be sure to compare the coverage of a warranty, not just its length. Many exclude “cosmetic” items – the definition of which can be a source of contention down the line. Some exclude important items such as wall cracks, leaky faucets, doors, and windows. Others exclude problems caused by moving and installation – one of the most common sources of complaints. Ask for copies of the complete warranty to take home and compare against those offered on other homes. Look at the combined terms of all the warranties that cover a home. Sometimes moving or selling the home can void the warranty, as can improper site preparation. Ask the retailer or manufacturer to examine your lot and certify that your site preparation meets the standards required by the warranty. Discover what, if any, regular home maintenance is needed to keep the warranty in force. Be wary of “extended warranties.” These are often little more than high-priced insurance products issued by third-party companies. Terms of extended warranties may be different than the original warranty, so evaluate them closely. If you are financing the extended warranty, factor in the additional interest cost. Also, read every clause and every sentence. They have a tendency to have language in their policies that allow them to get out of paying claims easily. Look out for arbitration clauses when buying a manufactured home. These contract terms limit your right to sue and are far more common in manufactured homes than conventional housing. Ask if the retailer, manufacturer, or finance company uses mandatory binding arbitration clauses in their contracts. If they do, find out the cost to file a claim and who gets to pick the arbitrator. We advise consumers to avoid arbitration contracts that are both mandatory and binding. Get references from previous customers of the manufacturer and retailer. Check more than one, preferably people who have been in their homes long enough to have experienced or used the warranty service offered. You can also check the record of the manufacturer, retailer, and installer at agencies such as the state attorney general or the state manufactured housing agency. This is probably the most important advice I can give you. Buying a manufactured home is difficult but it will be a lot more difficult if you deal with the wrong people. Some consumers report delays in warranty service. If the retailer has already been paid in full, there is less incentive for prompt service. We recommend asking the lender to escrow (i.e. delay payment of) some of the funds for the house until the installation and initial warranty repairs are complete and inspected by a third party. Shop around for each component of your package such as insurance, mortgage, etc. Dealers may offer to act as your real estate broker, insurance broker, and mortgage company, but he or she may not be able to offer you the best deal on these services. You’re buying a manufactured home, not a financial advisor. If you need advice, go to licensed and bonded professionals that have no conflict of interest and doesn’t gain anything from your actions. You pay for items in a package deal – prepaid park rent, insurance premiums, even furniture and stereo systems – by adding the cost onto your loan. This will cut into your equity in the home. Given the relatively high interest rates on personal property loans, it will cost you more than the items are worth in the long run. In particular, you will pay less for your property insurance if you buy it directly from an insurance company. If you buy it from the dealer, the cost of one to five years of coverage is typically added to your loan and you will pay significant interest in it. At the end of that initial policy, you will need to renew or replace your insurance at an additional monthly charge, while your monthly mortgage payments will not decrease. Buying a Used Manufactured Home Used homes may have a very limited warranty or no warranty at all. Be wary of homes sold ‘as-is’ with no warranty – there may be hidden problems with the home. We advise you to have all used homes professionally inspected prior to any purchase commitment. With that said, buying a used mobile home can be an excellent choice. They are affordable, and as long as the bones or structure is healthy, they are relatively easy to remodel and update. Organize all your records and document your complaints. Make a record of all conversations with retailers, manufacturers, and state and federal agencies from this point on. Contact both your retailer and your manufacturer. Contact information should be in the homeowners manual or other documentation provided at the sale. If you contact a party by phone, be sure to follow up with written notifications to both your manufacturer and retailer. Address the letters to specific people with specific titles to create a clear paper trail. Include your name, contact information, and the label number of your home. The label number can be found on a red seal issued by HUD and affixed to all homes built under their jurisdiction. Keep the letter brief and to the point. Include the date and place you made the purchase, who performed your installation, the serial or model number and warranty terms, what went wrong and any actions you have taken to correct the problem. Enclose copies of your records (store the originals in a safe place), including receipts, guarantees, warranties, canceled checks, contracts, and any other documentation. Send the letters by certified mail. Some states will require this as proof of notice. If service personnel attempt to perform work, but do not complete repairs to your satisfaction, do not sign off on service orders that state the job has been completed. 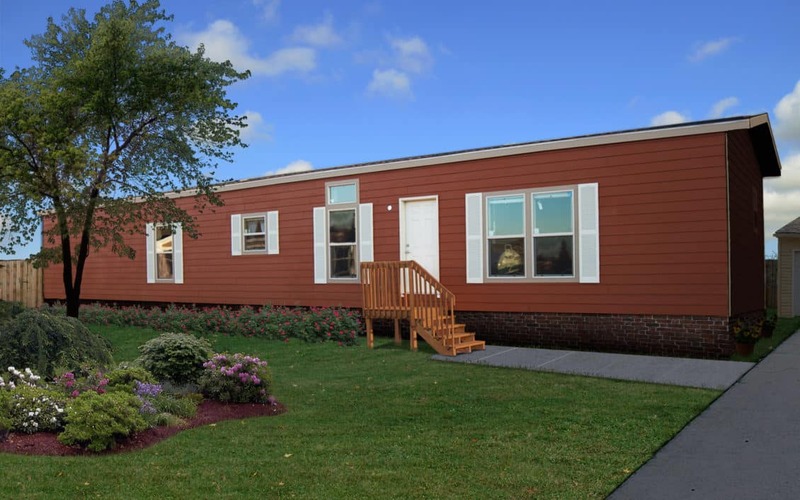 All manufactured homes should be constructed to meet the federal building standards adopted and administered by the U.S. Department of Housing and Urban Development (HUD). HUD generally contracts with state agencies (State Administrative Agencies or SAAs) to enforce the code and monitor complaints. If you cannot get your retailer or purchaser to perform the necessary repair work, you may wish to contact your SAA for a complaint form. Contact information should be in your homeowner’s manual and is also available in the appendix to this report. Send the completed complaint form back to the SAA with dated copies of your correspondence with retailers and manufacturers and a copy of your purchase agreement. The agency will review your complaint and send an inspector or district representative out to your home. Follow up if the delay becomes unreasonable. If the agency declines to inspect your home, in some states you have the right to ask for, and receive, an inspection. If the inspector finds your problem to be a result of a manufacturing defect, they will lobby both your manufacturer and retailer to remedy the situation. Even if your warranty has expired, some states will still force the retailer and manufacturer to compensate owners whose problems are the result of a manufacturing defect. Your state may even have a recovery fund with which to fix your problem if your retailer or manufacturer is out of business. Used homes have shorter warranty periods, and your state may only have limited jurisdiction over them. The SAA may also not address issues such as implied warranty and deceptive trade practices. Implied warranties are non-verbal, non-written guarantees that a product is fit to serve the purpose for which it was sold. If the SAA directs the licensee to perform work and it is not completed to your satisfaction, tell the SAA. They may assume the work is completed and close your file if they don’t hear from you. If you have no success with your State Administrative Agency or HUD and you feel the regulatory system was not sufficient to address your problems, be sure to notify your state and federal elected officials. In closing, manufactured homes get a bum wrap – some companies deserve the poor reputations, some don’t. Not all manufacturers are bad and the manufactured housing industry is a perfect example of how a few bad apples can spoil the whole barrel. A few companies have gained quite the reputation for poor customer service, poorly made homes, terrible lending practices, and overall shady business practices. Leave those companies alone and focus on the companies that do what they should – build fine homes and treat customers right. A little research and a few Google searches will net you the information you need to find the bad apples. Congratulations on your new home, Cheryl! I would love to see your new home! Wow. Where was the final inspector? The installer and dealer should have let you know that a licensed contractor was needed to install your utilities (if that’s your county rules which it sounds like it was). The installer wouldn’t have been able to attach any pipe to the system without a license but they should have told you that from the get go. All new manufactured homes have a 1-year warranty. That means if you have proof of written complaint and the issues you are experiencing now are from the original complaints you may have a way to get them to fix it. Since the issues aren’t technically from errors in the factory or construction (or really even installation if a licensed plumber was required to connect your plumbing) you may not have much hope but you need to contact your California manufactured home state agency (always via written mail) just in case. I really don’t give any kind of advice when it comes to the different builders. Remaining neutral and not advertising or supporting one company over another is very important to me. They each have their advantages and disadvantages and they ALL need to step up their customer service and warranty game. The problem with manufactured homes, in my humble opinion, is the way they are sold – like a car with the salesperson getting commissions on sales. This pay method allows for a lot of sketchy things to take place but I can’t really blame the salespeople since we all want to feed our family. Having the dealer as a middle man is also an issue. Issues can be volleyed back and forth between the dealer and the builder long enough to run the clock out on the warranty and that has happened too many times to count. You are doing your research and that’s the most important step in the buying process. The dealer and builder you deal with in one part of the country wont’t be the same as another part of the country so reviews are location based more than company based – that makes it difficult. Make sure you call previous buyers about the builder, the dealer, and the installer as they all play an equal part in the home buying process. (and follow the recommendations in the articles). You are doing the smart thing already so I think you will be just fine and will find a home of your dreams at a fair price. Wow! What people don’t know about handling issues when it comes to buying a manufactured home is a lot. I am not cutting anyone down but how a consumer handles issues in regards to a manufactured home should be done before the sale. I have 28 years experience inside the factories and selling them both wholesale and retail to the end consumer. I was most excited with selling them because I can give the customer the much needed information before they bought a manufactured home which is still one of the best investments today for a home owner. There are usually 3 participants which intergrates the purchasee of a manufactured home. Each participant should be resposnsible for their part in the customer’s buying experience. 3. The set-up company that sets up and sometimes delivers the home. Every manufacturered home builder has a 1 year warranty. It is not always a full warranty which means they fix any and everything but a partial warranty. Some do have full warranties like Skyline Homes, 15 months. 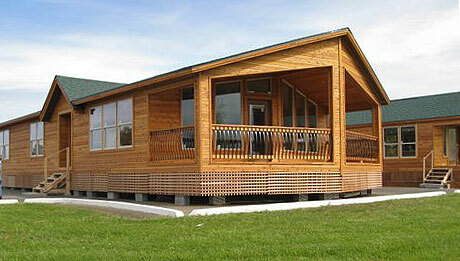 Every manufactured home has individual limited warranties from the makers of the materials used to build these homes. Example; shingles, siding, appliances, flooring ect.. These additional warranties are what the factory builders rely on to help with servicing items that may go wrong in a home. The set-up companies which usually are not owned by the retailer or factory should guarantee the set-up of your manufactured home. Piers, blocking and fill dirt are inspected by the county or city inspectors at different stages of the set-up but does not mean it prevents anything happening to the home during this process. I left the retailer for last because not all retailers have the customer’s best interest. They think that because the factory builds the home and the set-up company sets the home that they can wash their hands of anything that needs service. Buying a new manufactured home should be a fun and educational experience so asking the right questions is important. Thanks so much for the information. Personally, everyone in my family that has purchased a new manufactured home has had horrible experiences (in 3 different states and both sides of the family) so it’s difficult to write these articles without bias to be honest. It really seems the industry is out to get us all and that’s really hard to say but when you see your immediate family dealing with issues that should have been easily handled by the dealer it’s hard to have any trust. I want to make sure buyers understand the wall that they may be going against and prepare themselves from the start. Good to know there’s someone out there like you that cares and tries to help. I’m pretty sure that is a Clayton home but I’m not sure what model it is. You should be able to visit a Clayton dealer and they will be able to help you. Sorry I couldn’t be more help – best of luck! Yikes! So sorry to hear your having issues Colleen. What you are experiencing as far as customer service seems to be the standard in the industry. It’s always someone else’s fault! If your home is still under warranty write letters to the dealer, builder, and shingle supplier and send them via certified mail. Keep a record of all communication and evidence of the issue, keep it professional but stern, and don’t give up! If it’s out of warranty, your only option may be the shingle manufacturer (especially if the shingles are warranted for a certain amount of time, usually 10 or 20 years). If the boards and felt under the shingles are OK and there’s no signs of damage or leaking, you may be able to just replace the shingles and everything be OK. If there is damage under the shingles you’re gonna have to get it repaired ASAP so that it doesn’t further damage the home. Keep all the receipts and ask the shingle manufacturer to reimburse you. Be willing to negotiate with them. Not giving up is the most important advice I can give you. They don’t want to make it easy for you because issues like yours cost money. Best of luck to you! Let me know how it goes and thanks so much for reading MHL! Schedule a conference call with both the manufacturer and the shingle people and ask them how they intend to resolve it. You can do this through either google talk or there are free conference call online services – just look up free conference calls. All you have to do is register, they will give you a code and then you will get an 800 or free number to offer those you invite to the call. Schedule it through google calendar and include the three numbers. See if you can find an attorney who will do a consult for you in advance of that call and or on the call for a small fee. I have done this when I had to evict a tenant when the tenant was not paying rent and damaging the property. I had issues between the condo building owners and the tenant that needed to get everyone aligned. I realize I am responding to you late so this is for any issues going forward or anyone that has one guy telling you to go to the other guy, get them both on the phone together. You don’t even have to tell them if you think both of them won’t show. You could just set an appointment to talk to each of them at the same time, and tell them to call you at the number you give and enter the code and get them on line at the same time. Another trick that has worked really well for me with developers who do not honor their warranty and build really bad homes which I have been subjected to one time so far: Always use a close attorney no matter how much they resist. They will review your warranty package and add any clauses and negotiate those clauses for you and do it right during the time when you’ve got them….they want their money and this will be a deal breaker…they will also work in closes up front so that if they do not honor a later clause submitted for your protection, then the have to give you your earnest money back. They can be macerators, its in their nature and the sales person can’t get away with their antics. That same attorney can also help you years later if still in business when you go to sell your home. They can again, make sure that the buyers realtor, lender, inspector, title company, and all the other people that have their hands in the pot that want your commission do not get away with anything they are not entitled to. Even if it’s not the same attorney, a good one can pick up the work that was done, the clauses that were inserted, etc and save you thousands. I think I paid on the buy 500 bucks total and then on the sell 700 10 years later. Best money I ever spent. Best of luck. Hello! Can you be more specific with your question? I’m not sure what you mean. This article really grabbed my attention when you told the story about your friend how they eventually gave up after a long amount of frustration. You see that is exactly what my husband and I did as well. We bought our first house from Solitaire as a young couple just starting out and from the time we bought it til 9 yrs later we continue to have window problems. Our windows leak every time it rains (occurred when first bought), it drips from the top til if forms a puddle on my window ledge. I opened my front door one day and an entire window pane fell out on to the ground. Luckily it did not break and i was able to get my dad to help reinstall it because I was to short to reach. As of right now my windows still leak and every time the window blows they make a horrible vibration noise which sounds like they have extreme flatulence. The most help we received was the retailer sent out a man about 4 times as to which all he would do is caulk the window then spree water to see if it was fixed. Of course it would be temporarily fixed every time but by the time it would rain again the window would be leaking. We live in Texas so rain can be very unpredictable and summers always bring droughts. We finally became frustrated and gave up like they wanted. I should also mention that through all of this the retailer went through at least 3 different managers which just added to the frustration. Now that you have my back story here are a few of questions that Im hoping you maybe able to answer. At this point should I even bother trying to contact the manufacturer to see if they will be willing to fix my windows with something other than just caulking them? Or should I just go straight to HUD? Or is 9 yrs really just way to long to have waited to finally readdress the issue? Any helpful suggestions would greatly be appreciated and thank you in advance for taking time to read my lengthy story. I’m so sorry you’ve had to deal with this. It’s an issue that should have never happened. Most manufactured homes only have a 1 year warranty so if anything happens after that first year you’re pretty much outta luck. They do this so that dealerships and manufacturers won’t be responsible for issues that occur due to settling and settling occurs in every home. It’s a catch-22 situation. I understand the liability issues could be disastrous for the companies but us homeowners deserve better protection. On the other hand, manufactured homes actually have better consumer protection than a site-built home. How scary is that? To answer your question, I don’t think you will have any luck getting the help you deserve. The 9 year time frame is simply too long. Perhaps if you filed a complaint about the windows within the first year of owning the home you may have some hope but if you didn’t then I think it’s going to be a lost cause. I hate to even say that and I’m terribly sorry. I’m no expert, but I suspect that either your home has settled causing the window to be out of square and that is causing the leaks and pop-outs or the frame and flashing around the windows weren’t properly installed. Then again, it could be a number of things and without an inspection one would truly never know. If it is a settling issue, you’ll have to have the foundation repaired and leveled before tackling the windows, otherwise you’ll never truly get it fixed. Are you having any problems with your doors? Do cabinet doors open on their own or look angled when they are shut? If so, your home is probably not level. Once you’re 100% positive the foundation is level your windows will need to be completely removed and better framing, caulking, flashing, and sealing (whatever you want to call it) will need to be installed. This should also include headers and king studs that can hold the weight of the windows properly. A waterproof membrane will also need to be installed. You don’t want any water touching the wood frame of your home. Here’s a few resources I found that should explain how the windows will need to be re-installed. Special attention will need to be given to the flashing. Maybe if you can prove that the windows were installed wrong you may have a chance of getting the repairs paid. It’s a long-shot though. Again, I’m sorry you have had to deal with this. It’s not fair to you or your family. If there’s anything else I can help you with please don’t hesitate to ask. Good luck! Here is what I recommend for you and others for any issues like this. First, per my previous post, always use a close attorney when you buy and sell a home. They can look at warranties and put in clauses and stipulations as protective to you as to the factory that can help. Next is that you need to document, date and take a picture of everything – especially in the first year. Be really disciplined about it – don’t let it go and say I’ll do it saturday instead of now because the weeks and month pass fast to surpass that 1 year date. Get them to fix anything that poses a safety, structural, or code issue within the year. You do not have to wait for those rings – settling cracks that are not structural, drywall issues, etc, they will batch those up, come out and inspect and fix before the year is up but things that are not up to snuff as they arise, they need to fix them as they arise. If they give you any noise, get a contractor to come and look at it and provide a bid for the fix and now you will have a permeant record by a certified outside source that can be used later if they again resist doing what they need to do. Then before the year is up – say 3/4’s in, get an independent home inspection done by someone certified and reputable and let that inform all that you need to have them do within Warranty by end of the year. Also, for each and every time they do not do what they are supposed to do, file a complaint with the BBB. I have done this about five times in my life total and it has been very effective in getting people to act and then if they do not respond then that shows up in the BBB forever when consumers go do their research. i just did research for example oh HiLi with a roofing issue thru the BBB and found that they treated a customer terribly and now that has impacted my decision to not buy from hili. I am not saying that suppliers will not make mistakes or that people down the food chain may be invented to not do the right thing to keep costs low but when you escalate a serious issue that deserves their attention, it’s all about how they handle it. BBB has gotten people to pay me, refund me, and fix the things they said they would. It can be a valuable tool if you use the process. I would also call the manufacturer and write them a letter although its been 10 years. You need to tell them your story – go as high up in the chain as you can. But, have a certified window inspector look at the windows and help you document the trajectory of how you got from here to there. There is always a root cause and it’s fair to try and sort it out. Good luck to you. That was great information… actually, it was a LOT of information. I was left with the feeling that if I purchase a mobile home and have issues, it might become a part time job getting the issues resolved. I am currently trying to decide whether to purchase new or used. Purchasing a used mobile home has the advantage that I can see what I am buying before I sign anything. I can also have an inspector provide feedback. If I purchase new direct from the manufacturer, an inspection of my specific home is not possible until after it arrives and is setup. But more importantly, an inspection is not possible until LONG AFTER I sign on the dotted line to purchase it. With that in mind, I did some surfing and found the website consumeraffairs.com which contains some very harsh buyer complaints. It has been my observation that people are far more likely to take the time to write a review when they have problems rather than when they have positive experiences. So I keep in mind that customer reviews can paint an inaccurate picture. Near the top of your article you indicate that Skyline received 1 complaint per 100 houses sold. That appears to be a rather good rating on your chart, but the very harsh complaints on consumeraffairs.com for the Skyline homes tell me a different story. I agree completely with your comment that any home can have issues and I also agree that a buyer should judge a manufacturer based on how quickly the issue is resolved. However, the complaints on that website indicate that Skyline does not resolve their issues. This causes me great concern. I am considering one of the high end Skyline homes and I don’t want to be the next complaint on a website. I don’t know that I can safely assume that customer service will be any different on a $25K or $125K mobile home. – Is there a website that contains comparison charts with up to date ratings of home quality, service, warranty, and customer satisfaction for the different manufacturers? Your chart at the top of this article is a great start! – For a new home purchase, wouldn’t it be great if I could sign/purchase the home AFTER it has been delivered and setup? That would remove stress and risk. I would be willing to pay a reasonable amount extra for that! I didn’t mean to scare you! Unfortunately, I do not know of any website that has collective reviews of manufacturers though I think the Better Business Bureau has a list of complaints (much like the consumeraffairs.com site you mention). If I was a smart woman I would figure out how to create one myself to let readers add their own reviews but I wouldn’t even know where to begin. I wish there was a better process when it comes to inspection and approvals. If I recall correctly, HUD did establish a better national installation and setup guideline so that should help a little. I guess the best protection is knowledge and understanding how the process works. If I were buying a new home tomorrow, I would start speaking with the dealers one on one and have a list of questions that were most important to me. While I was there I would request referrals of previous buyers and call each and every one of them. I would then research complaints online for each dealer and research their rating with the BBB. Then I would start researching the factories and transporters used. That would be the least amount of work I would do before worrying about price or floor plans. Personally, I think the dealer used is a bit more important than the make or model of the home. The dealer is the one you’ll be dealing with most and will be the one that helps remedy whatever problems you run into, not the factory. Of course, all this homework can only tell you how other buyers experienced the process. Though going into the process with your eyes wide open can help you immensely. If you have any more questions just let me know. Please don’t let me scare you from buying a home! 2 things you can do to protect yourself further upstream in the process – hire a close attorney before you sign for purchase that can put in stipulations that say for any reason if this product does not pass an independant inspection performed by a certified inspector of our choosing, this contract is null and void with earnest money and all deposits returned. you do not have to advertise that you are doing this up front just like they are not going to advertise that all of their operations people get incentives to not spend money – they get measured on it monthly and in their annual performance review so you get squeezed on both sides – the sales person that wants commission, and the ops person that does not want to spend because he wants his 20K bonus at the end of the year. So, when you go to sign the contract, you tell them you need to have your close attorney look it over and they will then negotiate doe protections and clauses for you that can include the right to have an independent inspector at the factory – you can call and hire one, there is no law that states that you can’t, and you can have one show up on site at the end of install to inspect and document any issues that will be covered by the clause your attorney puts in there. Although I have not purchased a manufactured trailer I have purchased and sold one condo and two stick built house. Condo had not issues but the tenants that were not paying and attorney helped me resolve plus helped during selling when the buyers agent was trying to get away with stuff. Then we used one with a stick built home when the developer would not live up to their warranty; Third house, we bought a REO and the attorney helped us navigate again thru the antics of greedy sales people sand bankers on both sides. brilliant. Thank you so much for great advice Robin! New house should have all the things perfect and the most important thing is this that you should check all the problems like roofing or gutter or shingles the paint etc. These are the most important things you need to check before hiring the house. This is going to be quite lengthy but, if you’re thinking of making an offer on a HUD home that is being sold “as-is,” there are a couple lessons here. For a year, we’d been looking at a specific manufactured home build in 1986. It was a foreclosure and was finally put on the market after another foreclosure in the same neighborhood was sold. HUD doesn’t usually list two homes for sale that are close together. In order to bid on a HUD house, the real estate agent sends in my name, my Social Security Number, and my bid. I bid on a Saturday and HUD accepted it on Monday, July 23, 2012. The next day, I got a cashier’s check for a thousand dollars and went to the real estate office to sign the Purchase and Sale Agreement. They FedEx’d the check and the agreement to HUD. HUD needs the check and paperwork within 48 hours of accepting the bid. LESSON 1: MAKE SURE THE APPRAISED VALUE ON A HUD P&SA IS FILLED IN. I had to bid all over again. That day, I made the same bid. HUD accepted it the following week. On Wednesday, August 1, 2012, I bought another cashier’s check, signed another P&SA, and the agent FedEx’d them to HUD. This time, HUD accepted the paperwork. I received the first cashier’s check back within a week or so. We “bought” the house in August, 2012 but got the keys to the house on January 16, 2013, FIVE AND A HALF months later. There was a cloud on the title. Escrow kept telling us that HUD will “cure” the problem and convey a clear title. It took SIX extensions, 15 days each, before escrow finally told us that HUD would NOT cure and, if we wanted the house, we would need to sign a Hold Harmless. The three months HUD/escrow screwed around? That cost us almost $6,000 in house and storage rental. LESSON 2: HUD WON’T “CURE” ANYTHING. IF YOU REALLY WANT THE HOUSE, AND YOU KNOW WHAT CURING IT YOURSELF WILL COST, SIGN A HOLD HARMLESS AGREEMENT. Think we’re ready to close? Nuh-uh. There’s a repair escrow on the house. The loan is an FHA-guaranteed loan through a bank. The underwriters won’t sign off on the trust deed based on what the HUD inspector says the repairs will cost. The buyer has to get a contractor to review the repair list and come up with his/her own estimate. The banker THOUGHT he told me I needed a bid from a licensed contractor months ago. I checked Angie’s list and found a contractor fairly near to the house with great reviews. This took another two extensions. LESSON 3: IF YOU’RE BUYING A HOUSE WITH AN FHA-APPROVED LOAN AND A REPAIR ORDER, GET A BID — IN WRITING — FROM A LICENSED CONTRACTOR (THEY WILL NOT ACCEPT YOUR BROTHER-IN-LAW WHO DOES HANDYMAN WORK ON THE SIDE) AS SOON AS POSSIBLE. SINCE YOU DON’T YET OWN THE HOUSE, YOU HAVE TO COORDINATE WITH YOUR REAL ESTATE AGENT FOR ALL THREE OF YOU TO MEET AT THE HOUSE. A note about buying a house with a repair order: This order had almost $3,000 in “roof repairs.” I was cruising both Google Maps and Bing Maps one day. I noticed that “our house,” in the Bing map, had a brown roof (and the lot three doors down and across the street was vacant). The Google map showed our house with a blue roof (and the lot three doors down and across the street had a new house on it). I checked with the county assessor and the new house down the street was built in 2007. That means the roof of our house was replaced sometime between 2007 and 2009 when the house was foreclosed. The original inspector of my house saw unrepaired INTERIOR ceilings in two rooms and ASSUMED that the roof was leaking. The contractor’s estimator even told me, “If the roof were still leaking with the rain we’ve had, your ceiling would be on the floor.” I think HUD inspectors are so busy, they just do a quick-and-dirty inspection. LESSON 4: DO AS MUCH RESEARCH AS YOU CAN ON YOUR OWN. THE PERSON WHO CARES THE MOST ABOUT YOUR HOUSE IS YOU! A note about HUD extensions: Each extension is for 15 days. BUT, HUD’s escrow company needs the paperwork from the bank ten WORKING DAYS before the last day of the extension. The last day of the seventh extension was January 3, 2013. That means the paperwork would have had to be at escrow by December 17, 2012. Except that the last day of the sixth extension was December 19, 2012. Without the eight extensions, we would have closed in mid-September. Back before it was freezing. LESSON 5: IF YOU’RE GETTING EXTENSIONS, BE VERY AWARE OF HOLIDAYS. DUE TO HOLIDAY DAYS FOR CHRISTMAS AND NEW YEAR’S, WE LOST ALMOST A WEEK. I hope our experiences help someone. The house behind us just went up for sale. It’s a foreclosed manufactured home and is being sold by HUD. Thank you so much Suzanne for sharing this! I’m so sorry you went through all this and I’m positive your comment will help many people. Thank you so very much!